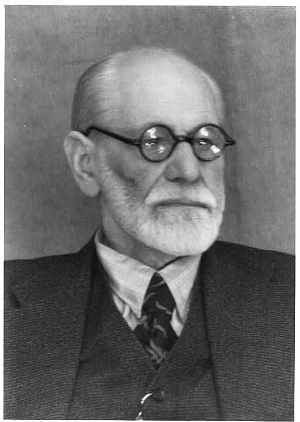 This is Freud. He was a therapist. Some place her on a pedestal, others vilify her as a witch. Those that love and choose midwifery care sometimes make them out as sensitive, floating apertures of real midwives, perfect versions of what they "should" be but cannot possibly be in a real world. or many other things that midwives are often expected to be. Of course many midwives excel at many things on this list, but nobody excels at all of them, nor should they. More importantly, we should stop expecting them to. "Midwives are experts in normal birth and adept at ensuring excellent outcomes for women and infants. " Pretty cool, pretty important, but certainly not a catch all for filling every possible emotional and physical and spiritual NEED that a pregnant and birthing woman may have. I really love midwives. But I have to admit that we as women often expect more from them than they can give. We cannot expect somebody to listen to your every complaint, brush your hair, comfort you in every possible way in labor and do it for dirt cheap or for free. A midwife exists to catch your baby, to watch your birth and make sure it is as safe as possible and to make the call and get you somewhere else if that is what is needed. That is about it. THIS IS A HARD AND SOMETIMES THANKLESS JOB. Frankly, the way women sometimes treat and talk about their midwives who give so much for so little just makes me ill and feel a little ashamed of my gender. It is not her fault if your birth isn't perfect, if you husband is a jerk, if you don't get exactly what you want or if (heaven forbid) you feel pain in labor. Yes, hold them accountable when they are negligent, stupid, unprofessional and unethical. This should happen to everybody in every profession. (Yet midwife witch hunts have not disappeared. They are alive and well online and in our communities.) But expecting consequences when there is a serious breech of ethics is NOT the same as trashing on somebody because they couldn't give you something that frankly, nobody can. My first midwife was a personality that I didn't exactly connect with. But she did her job - which was to be there when the time came for my baby girl to come into the world. She respected my birth wishes before, during and after the birth. That's what midwives are trained for and the only reasons I chose to go elsewhere the next time I was pregnant was 1). I didn't want to give birth in a hospital again (she only practiced at a hospital) and 2). I DID want someone that I felt more comfortable with but I don't fault her for not being a "kindred spirit".